Snapbrite™ | Lynk Labs, Inc. The SnapBrite™ product line delivers a family of PCB modules using Lynk Labs’ patented AC LED technology. These AC LED modules help lighting manufacturers reduce cost and simplify inventory control, product design, manufacturing and sales challenges. SnapBrite modules are available in a range of linear, round and square configurations, 12Vac, 24Vac, 120Vac, and Universal Voltage 120-277Vac, 1W to over 1000W power levels if needed, and any lumen level needed. SnapBrite AC LED modules deliver a more cost effective, more reliable and faster design solution for lighting products in a smaller footprint over DC products when it comes to the integration of LEDs into the general lighting market. Lynk’s patented AC LED technology eliminates the requirement for an expensive, bulky and failure prone AC – DC power supply or driver. Delivering efficiency, reliability and a high power factor, SnapBrite modules can be used by lighting manufacturers in many types of fixture as an effective replacement for energy hungry incandescent or fluorescent lamps. Additionally, the modules will dim with most popular leading and trailing edge phase cut dimmers. 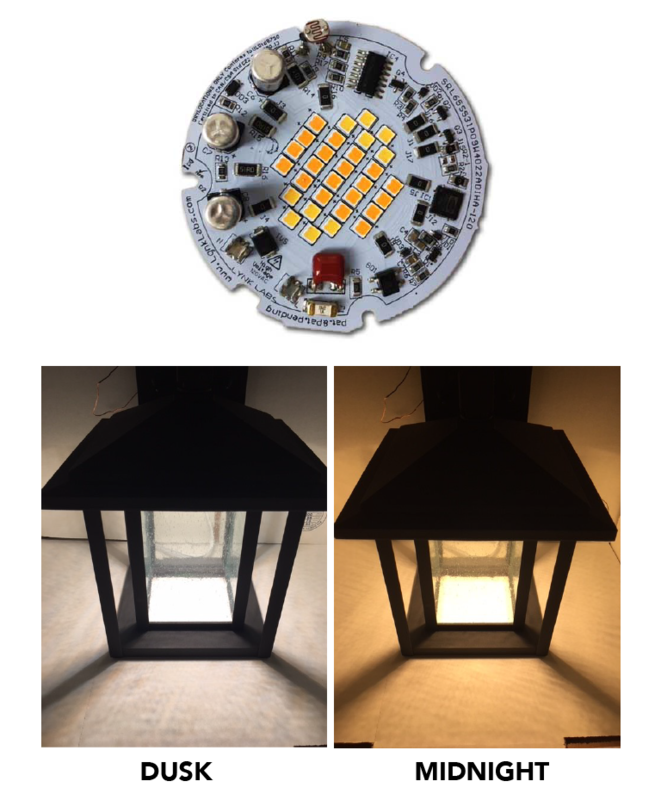 Unlike other AC LED light sources, some SnapBrite modules can offer our unique and optional Warm-On-Dim “WoD” feature that can change CCT from cooler to warmer as the dimming level changes. The Patented Warm-on-Dim circuit technology mimics the way a traditional light bulb or halogen lamp becomes warmer to look at as the light level reduces. WoD is a great feature for hospitality and residential applications. SnapBrite is available in Title 24 Compliant/Certified or standard design options as well as under 20% ATHD and a power factor of better than 0.97 for applications demanding minimal mains disturbance. Standard and Custom products can be tailored based on your needs, application and supporting volume requirements.